This is the cheapest 2018 GoPro you'll find. 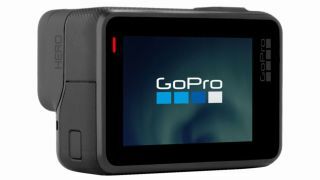 There have been a few great GoPro deals this Black Friday and Cyber Monday weekend, but this is the cheapest price we've seen for a 2018 GoPro. Don't be confused: GoPro released its original Hero a few years ago, but this is the revamped 2018 version. Usually it'll set you back $199.99 (already great value for what you get), but in its Cyber Monday sale Best Buy has dropped the price by $70 to just $129.99. A top GoPro Cyber Monday deal if ever we saw one. For that, you get waterproofing up to 33ft, a 2-inch touchscreen, Wi-Fi and Bluetooth connectivity for easy file transfers, and smooth 60fps performance at 1080p. There's also a curved adhesive mount, flat adhesive mount and mounting buckle thrown in. It gets an average of 4.6* (from 254 reviews) on Best Buy. This GoPro is a great-value travel companion, and top entry point for action filming. Save $70: Already great value for money, this is a superb deal on the entry-level GoPro Hero. This rugged action camera great for anyone wanting to capture their adventures. Not what you're looking for? Take a look at our mega-roundup of all the best Cyber Monday deals.